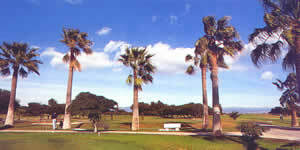 Inaugurated by the Spanish Royal Family in 1925, Parador Malaga Golf is the oldest course on the coast. The layout is part links, set along natural lagoons and part parkland where holes are lined by mature trees, homes to colorful parakeets. Although the course is basically flat and fairly open, trees can affect play on many holes.